Perfect on its own or to complement the Café Dining Chairs, this Cafe Dining Table from Armen Living is a simple and functional addition to your home. 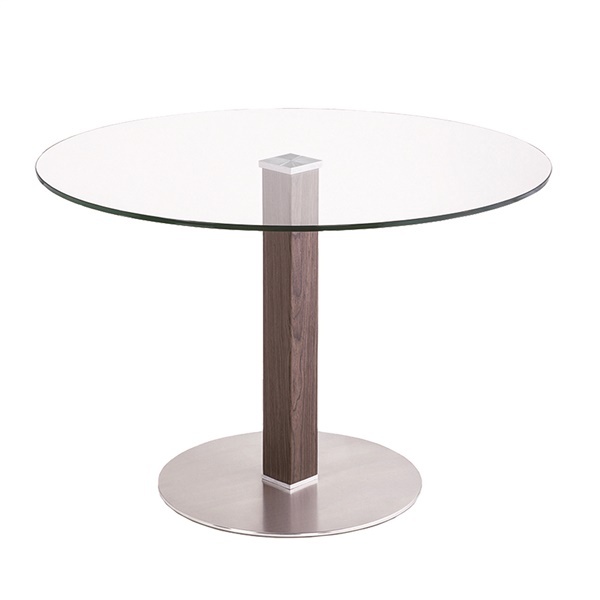 This demonstrates design features which are refined with the base made from stainless steel and its vertical post made from walnut veneer. Completing the look is the round glass top. It can add some glamour and sophistication to your home while providing you with a quality, modern piece. Simple yet sophisticated silhouette for the modern aesthetic. Stable circular base of durable brushed stainless steel. Strong post of rich walnut veneer.